Back in April, the Trump administration rolled out a new “Buy American” initiative aimed at allowing more countries to buy more and even bigger weapons. It will loosen U.S. export rules on equipment ranging from fighter jets and drones to warships and artillery, the officials said. Reuters has learned that the initiative will provide guidelines that could allow more countries to be granted faster deal approvals, possibly trimming back to months what has often taken years to finalize. The strategy will call for members of Trump’s cabinet to sometimes act as “closers” to help seal major arms deals, according to people familiar with the matter. More top government officials will also be sent to promote U.S. weapons at international air shows and arms bazaars. While human rights and arms control advocates are warning that the proliferation of a broader range of advanced weaponry to more foreign governments could increase the risk of arms being diverted into the wrong hands and fueling violence in regions such as the Middle East and South Asia, this is of little import to an administration obsessed with closing the US trade deficit, even it means closing it by selling nukes to the highest bidder. The Trump administration stresses that the main aims are to help American defense firms compete better against increasingly aggressive Russian and Chinese manufacturers and give greater weight than before to economic benefits of arms sales to create more jobs at home. It will probably not come as a surprise to anyone that the main architects of the new policy has been economist Peter Navarro, a China trade skeptic ascendant in Trump’s inner circle. His effort to boost arms exports has drawn little resistance within the White House, Reuters officials said. 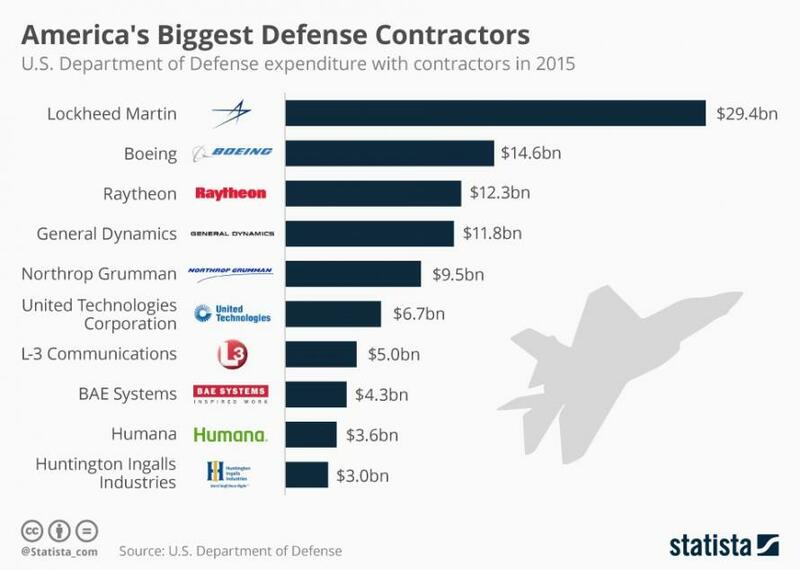 And at a time when Trump faces the most push-back from the deep state over his Helsinki comments, an accelerated "buy American weapons" program will also not draw opposition from the military-industrial complex.